Being migratory species, travelling across beautiful destinations is our basic human nature. Going away from home for a few days makes one refreshed. Udaipur is one city where you get to explore rich heritage and culture. If you want to experience this city from a different perspective altogether, why not try something new. Homestays are rapidly emerging as a viable option for staying among tourists. They add a personalised touch to your stay and give an amazing experience. Udaipur city boasts of many such homestays that will introduce you to the royal essence of the city at quite a reasonable rate as compared to hotels and resorts . Homestays in Udaipur not only offer you accommodation services but they help you create some beautiful memories to last you a lifetime. Giving a feel of home away from home, these stay options might give you a friend for life. Hotels are nice but homestays are different. Usually brimming with life, Udaipur city also has some quiet corners which can take you away from the noise of the city. If you are visiting this city to spend some quality time with your loved one, homestays are a perfect option. Most of these homes have fewer people residing and you have an opportunity of spending some quality time with your family or loved ones. We have several homestays listed with us for a memorable holiday vacation, you just need to make a right choice. Homestays in Udaipur have many ways to leave you impressed with their amenities and services. Unlike hotels which have a very impersonal atmosphere, homestays are like your own home where you can be more comfortable than any other place in an unknown city. Even if you want a few tailored adjustments, it is easy to have it done in a homestay. Here, you are not a client but a guest who is treated with the utmost courtesy and care. From room service and food to parking facility, laundry and terrace, one can have it all in a homestay while being easy on the pocket. There are few royal Udaipur homestays, which give you a taste of ancient culture and living style. If you are someone who loves to explore the tradition of diverse places, homestays might be the right pick for you. Many of these homestays in Udaipur are in close proximity to the major tourist spots of the city and you dont have to spend much time commuting within the city. Another thing, which makes them different from usual hotels in Udaipur is the delicious homemade food that they serve their guests. No matter how much we crave for dining outside, home-made food is the ultimate source of satisfaction. Homestays are perfect options if you want to enjoy staying with local people who can guide and support you on your journey. 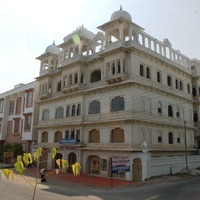 Book an affordable homestay in Udaipur as soon as possible to make sure you get the best deals. Cleartrip offers some of the most lucrative travel deals on some of the best accommodation options. From majestic Moti Mahal and Singh homestay to RajaRani homestay , there are several options for you to experience the beauty of Udaipur while being in your comfort zone. 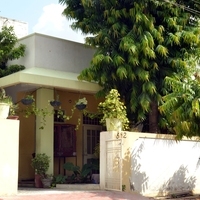 There are several types of homestays in the city, which vary on the basis of location, services, and luxury. All you need to do is make the booking before it is too late. Get ready to explore the heritage city of Udaipur with online hotel booking!